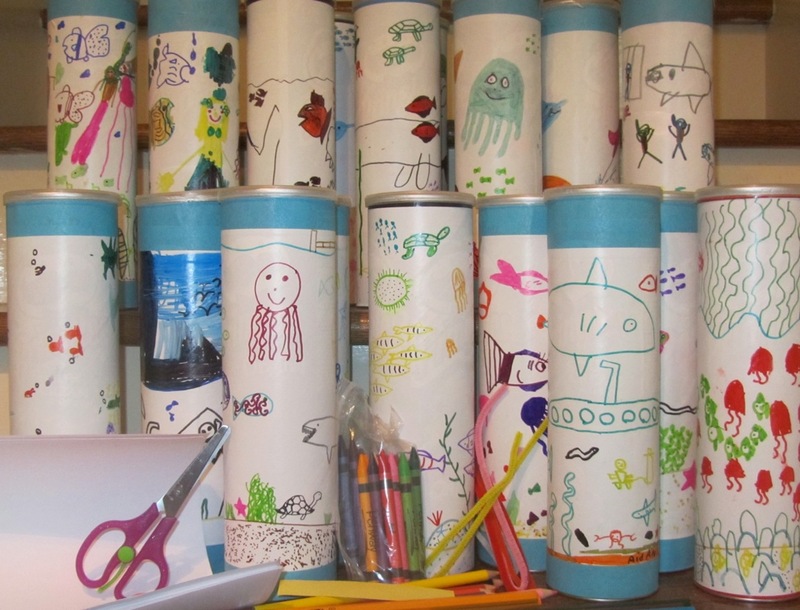 Pringles cans decorated and filled with school supplies by Deep River Elementary School students. Ready to be shipped! At Deep River Elementary School, students decorated over 100 Pringles cans and filled them with school supplies: paper, scissors, crayons, colored pencils, pipe cleaners, erasers, stickers and many other items that will be put to great use by the teachers who have participated in Sister Cities Essex Haiti’s Early Education Teacher Training Project. Since school supplies are scarce in Deschapelles and beyond the means of many families, these supplies will be received with great joy and put to good use. Deep River Elementary School also held a “Tip-a-Teacher” fundraiser at Oliver’s Tavern in Essex in June 2012 raising $1,700. Families, community members and others enjoyed a delicious meal at Oliver’s served by a staff member from Deep River Elementary School. All tips collected were donated to Sister Cities Essex Haiti. In June 2012, Jenifer Grant and Diane Huot, SCEH Board members, delivered the Pringles cans to children who are participating in the SCEH Tennis Program as part of an educational enrichment program termed “Coin d’Enrichissement”. To learn more, click here. A heartfelt thank-you to Deep River Elementary School! At Essex Elementary School, students raised nearly $3,000 by doing services for family, friends and neighbors including: raking leaves, weeding a garden, taking care of a pet, walking a dog, washing windows, being a mother’s helper or any extra house chores. When students offered a service, they asked the person who was benefiting from the service for a donation toward the Haiti Education Fund. In addition, parents, family and community members offered a helping hand to Essex youth for this initiative by encouraging and supportingtheir efforts by making a pledge for each service a child performs. 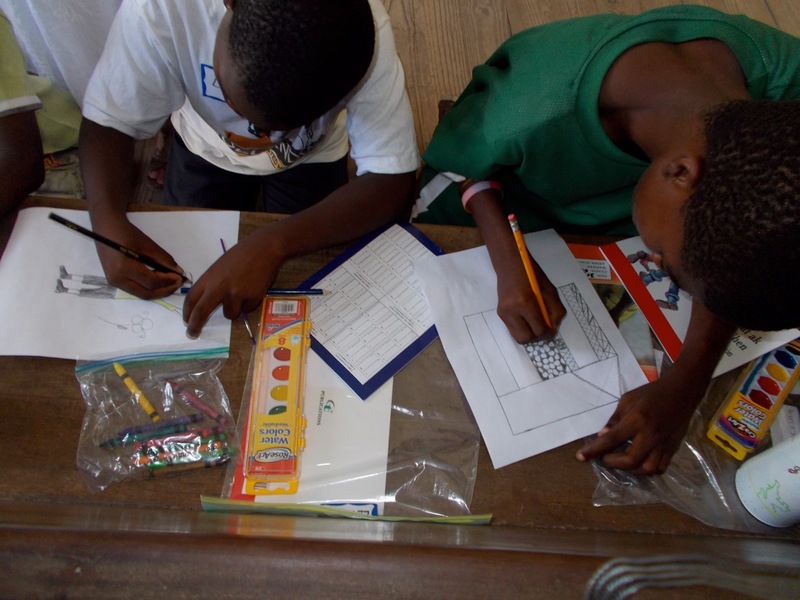 All money collected will be used to purchase and ship materials to schools in Deschapelles, Haiti. For every $5 a student raised they were given a hand to put their name on. The hands were posted in the main entrance of the school. The Helping Hands fundraiser began on April 2, 2012 and ended on May 2nd. At the Spring Concert on May 2nd at Essex Elementary School, hands were available for a $5 donation and were also posted in the main entrance of the school. 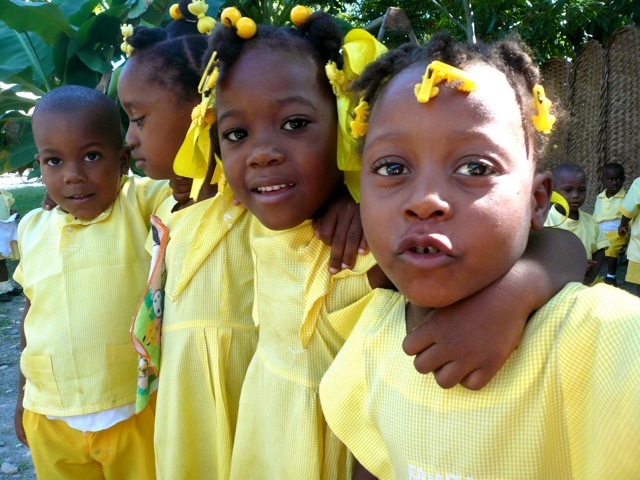 Chester Elementary School held a Service Learning Project in March and April 2012 entitled “From Our Village to Theirs – Helping to Rebuild the Schools in Deschapelles, Haiti” that raised nearly $600 for school supplies in Deschapelles. 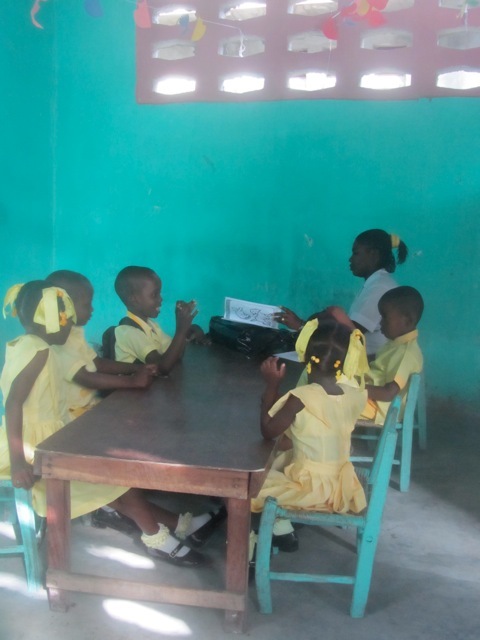 As part of the Project, Chester Elementary School teachers introduced Haiti to the students, discussed the reasons for the initiative, showed them the SCEH website and explained why this initiative will be so important to the children of Deschapelles. John Winthrop Middle School and Valley Regional High School held a bake sale on May 12, 2012 that raised $552 to support the Early Education Teacher Training Project! In addition, John Winthrop Middle School students held a talent show in Spring 2012 that raised $400 for books for Deschapelles children! THANK YOU to the students and staff of all Region 4 Schools for their continued support! !